The first offering from OSS Clothing DELIVERS. Oss Clothings first offering is awesome. Its fit is superb and construction sound. When I don’t feel like feeling flashy and just want a comfortable Gi that does its job, this Gi is where I turn to. Priced at $135 the V1 comes with top, pants, gi bag and a very high quality patch. The top has very mild, but quality, embroidery accents. Kanji lettering has never been my favorite, but there’s just something about the way it’s portrayed on the Oss V1 that it doesn’t bother me. For the guys who are all function over form, this is the Gi for you. The top doesn’t have any special seam tape, but it is reinforced with the same material as the pants and the sleeves still feel quite durable. It’s not the lightest Gi in the world, but it’s an excellent choice for all around BJJ activities, competition, hard sparring, etc. It’s not baggy in the chest and sits flush at the skirt. The grey contrast stitching pops just enough. The skirt is also the perfect length for me. I can’t stand a long skirt or long side slits/vents, and this top is great in that regard. I absolutely love cotton twill pants and these are no exceptions. The belt loop system is standard but works as advertised. The knee reinforcements could be a little longer, but do cover my knee during most situations. I believe OSS has increased the length of these reinforcements at the time of me writing this post. I have a bit shorter of legs for someone my height and so usually shorter knee reinforcements aren’t an issue for me. The fit of these pants in particular fit me perfectly (A2 pants, 5’10″ 195lbs) and I wish all my pants fit this perfect. The pearl weave gusset crotch doesn’t restrict my movements and the pants aren’t too long which is something I cannot stand. They are extremely comfortable and aren’t scratchy at the bottoms. These pants were extremely comfortable and not overly long like most pants I run into. 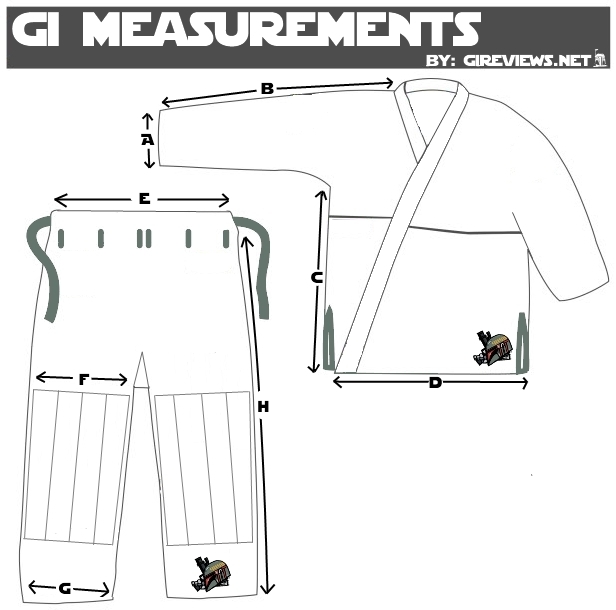 OSS also keeps some of the most detailed measurements you will find on their site for each Kimono, so if have specific measurements you need to adhere to you won’t be disappointed. One of the nicer additions to this Gi was it’s packaging. It comes in a gear bag that is stuffed in a nice plastic bag/container that looks like it will last awhile and could be used for holding odds and ends or your children’s toys. The patch is also of beautiful quality and we all love patches! If the looks of this Gi are up your alley do not hesitate to purchase this Gi, with some of the best customer service in the business you can’t go wrong with Oss.